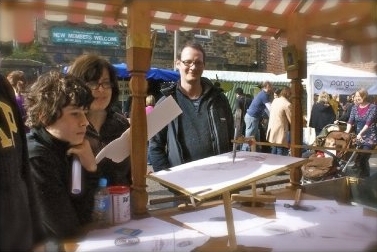 The Nether Edge Farmers Market takes place every quarter in the streets around the old Nether Edge Market Place. 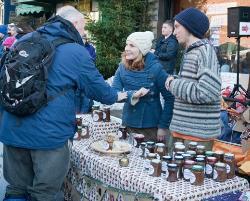 Traders and craftspeople have been successfully selling their wares at this increasingly well-renowned market. 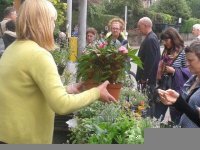 Click HERE to see a short video shot at one of our recent markets. 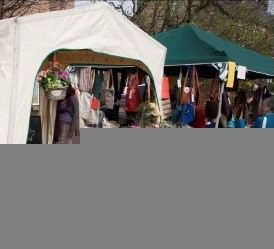 Started in March 2008, this Sunday market regularly attracts over a eighty stallholders and many hundreds of visitors to the area. 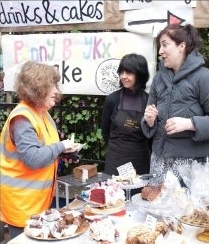 The market is run entirely by volunteers who are members of NENG. 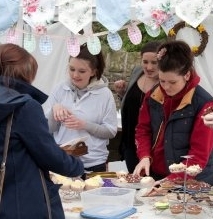 Contributions from stallholders fees have enabled donations exceeding £70,000 to be given to a variety of local charities. click HERE for a list of organisations the market has supported so far. Despite snowy weather, the March 2017 market raised money for St Luke's and Fable. It is much more than a market with a varied programme of live entertainment which has included traditional morris dancers and modern streetdancers, school choirs and bands, university and local drama groups, Mexican and clog dancers, skiffle bands, local singers and instrumentalists and the Salvation Army band who start the proceedings with some rousing music. To help keep everyone entertained, various activities and workshops are usually available for young people on the Nether Edge Bowling Green. Others can sit and chat whilst enjoying this "green oasis". 2019 Market dates: 24 March; 16 June, 15 September and 1 December . 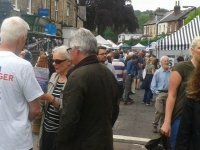 More information about prices for participants is available here For an update on market organisers' approach to GDPR and how data that participants provide is handled please click here.